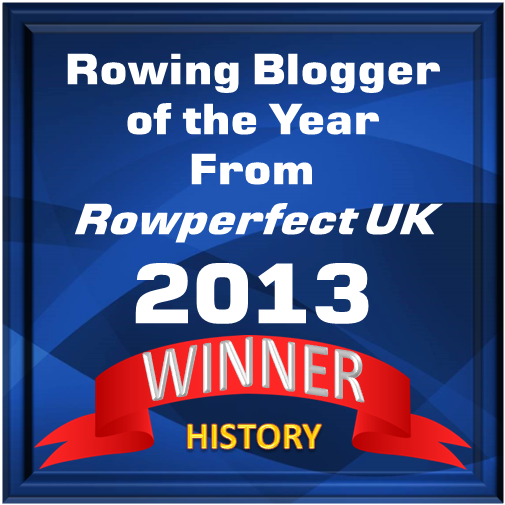 Dear readers of HTBS ~ It is with great delight I write that on this very morning ‘Hear The Boat Sing’ received the thrilling announcement that it had been chosen as the ‘Rowing History Blog of 2012’, an award which is handed out by the good people at Rowperfect.co.uk. To be honest, it is a humble experience, especially as HTBS was nominated in this category together with Peter Mallory’s Rowing Evolution. 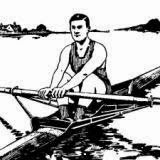 Peter, as you all know, is world famous for his 2,500-word masterpiece The Sport of Rowing. Please read about all the nominees on Rowperfect’s website here. As you all loyal readers of HTBS know, HTBS is really not my blog, it belongs to all my wonderful co-workers and contributors around the world – Greg Denieffe, Tim Koch, Philip Kuepper, Louis Petrin and Hélène Rémond, and others who have sent contributions to HTBS during 2012 – it is with them I share this award. Without them there would not be a HTBS, nor, for that matter, would this blog exist if it hadn’t been for you, the readers of this blog. So, THANK YOU ALL! *Just a little footnote to correct one small thing in Becky’s description of HTBS – of course, you readers can subscribe to this blog via e-mail. Please have a look on top of the green ’bar’ on the right.